“When I decided to leave Manhattan behind for a new life overseas, I had an average income and average savings—less than some friends and colleagues who were considering the same idea. Fifteen years on, though I’m semi-retired, I’ve racked up more savings than those guys… who are still working away at their desks… waiting for the right moment. “So the trade-off I took with financial security was worth it for the lifestyle, adventure, and opportunity I got overseas… in places including Ecuador, Brazil, Uruguay, and Colombia. “First is your motivation. What are you looking for? Do you want to get into this part time or full time? Are you looking for adventure? A rich cultural experience? A life of more luxury that you couldn’t possibly afford at home? “Second is finance. The great news is that Social Security goes a long way in many of the places we recommend. US$1,000 to US$1,500 is often enough for a couple to live the good life. Also, turning up with an open mind and a sense of adventure can lead to money-making opportunities you may never have imagined. You can also get creative with your IRA and 401k in ways that will not incur penalties. “Third is your target destination. Once you have an idea of this, you can come up with a plan. All the dreaming and hypothetical situations go out the window. Now you have everything in focus. For wherever you want to go, there is a known set of requirements. Armed with these, you can make a plan and follow through. Lee’s “Timing Your Retirement” presentation was part of the line-up on Day One of our four-day Retire Overseas Conference. 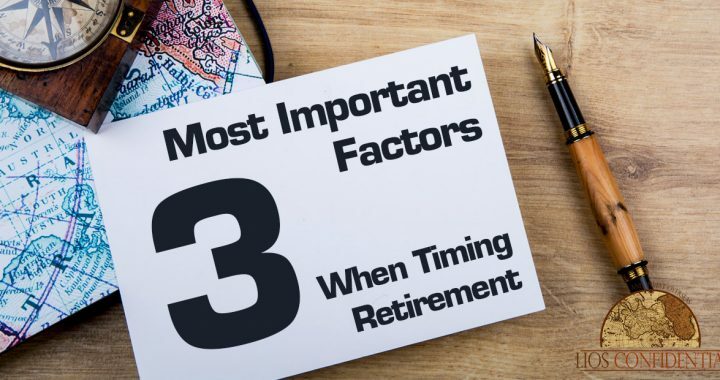 From there we went on to introduce attendees to more on planning the financial side of things… as well as introducing them to each of our top 21 retire-overseas (at any age) havens. Last week in Vegas was our biggest and best Retire Overseas Conference to date… and we’re still working to package together all the recordings. If you’d like to hear Lee’s full talk—along with every other speaker over the four days of this event… then be sure to grab a copy of our Live and Invest Overseas Home Conference Kit. Posted in Live And Invest Overseas Confidential and tagged lee harrison, retire overseas, retirement budget, retirement finance, timing retirement, when to retire, when to retire overseas.